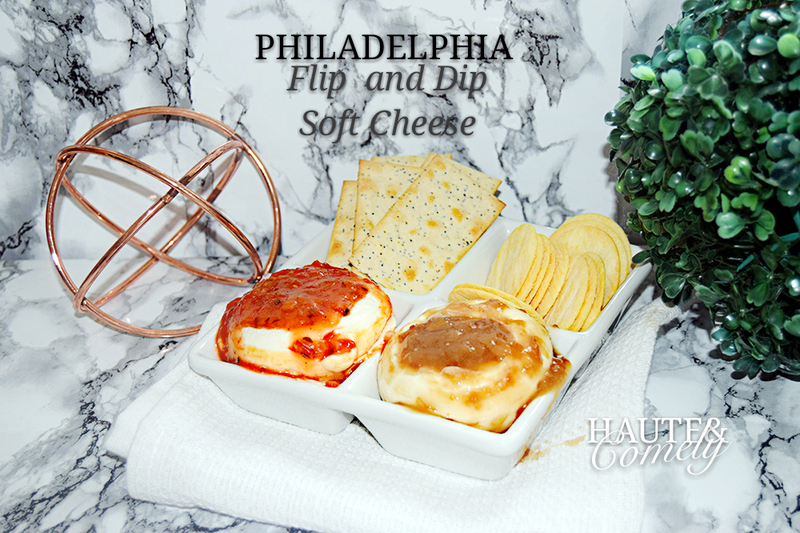 Todays post is a review of the Philadelphia brand’s new dips. Before i continue , I need to put it out there that i #gotitforfree to try and then review. This review is on the Caramelised Onion and Mexican Salsa dips. I also received 50% off discount coupon which I gave to friends to purchase and try. You can find this product in selected Tesco and and Asda stores. Check your locall stores for availability. According to the brand, the Caramelised onion dip is a whipped medium fat soft cheese speciality (70%) and sauce with caramelised onions and balsamic vinegar. Medium fat soft cheese, water, caramelised onions 3.4% (onions, sugar, rapeseed oil), onions, modified starch, Aceto Balsamico di Modena 1.5% (wine vinegar, grape must concentrate, colour (E150d)), sugar, roasted onions, salt, spirit vinegar, gelatin, stabilisers (guar gum, xanthan gum), preservative (potassium sorbate), flavouring, sweetener (sucralose), sunflower oil. Nitrogen for whipping. Very creamy and flavourful, packaged in easy to serve portions. Great accompaniment for crackers or breadsticks. saturate fats rather high for one person but ideal for sharing. packaging does not allow for saving leftovers for later. According to the brand, the Mexican salsa dip is a whipped medium fat soft cheese speciality (70%) and tomato salsa with onions and green chillies (30%). Medium fat soft cheese, tomatoes (13%), water, tomato puree (3.5%), onions (3%), modified starch, sugar, spirit vinegar, salt, gelatin, green chilli peppers, stabilisers (guar gum, xanthan gum), garlic, spices, salt replacers (potassium chloride, magnesium chloride), preservative (potassium sorbate), white pepper, acid (lactic acid), flavourings, sweetener (sucralose), sunflower oil. Nitrogen for whipping . This was my least favourite. Initially I was concerned that It was going to be spicy but there wasn’t much taste to it rather, it tasted quite plain in a way I didn’t like . However it has a somewhat mixed review as my daughter seemed to like it. Again, the sauce was rather small. It could do with more sauce.